Thanks for your feedback. I'm staying at Vizianagarm. 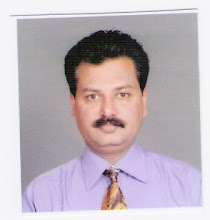 I work for State Bank of India, but give preference to managing my house. I'm presently a house-wife. We have all got our own struggles in life. You however have done something positive in your struggle. I am inspired by your example and my eyes filled with tears when I read that you used the time while fighting discrimination to come up with this website. This gives me strength and also a huge amount of respect for you. You are a very good cook too. I normally dont comment on any postings but I felt that you are one in a million. Congratulations. God bless you keeping up your spirits always high. Your site is very useful to all. You have made best use of the time off the work thanks to inhuman approach of the SBI hierarchy. There is another lady here with three daughters in school/college who was given tranfer orders in the evening to join the new station next morning. She did not oblige them and now fighting like you. I am also running a one-man show here in the IICD. But yet to develop a site. This discipline "COMMUNITY DEVELOPMENT" is not taught in any college/university in India and none offers a degree in it. My son who is in California sent me your web address. Wishing you all success in your good socially useful work. I really appreciate you, because I like all your recepies especially the presentation by listening your presentation I thought you are Old Lady.By seeing your profile I came to know that you are not that much old what I thought. Naa Peru Rajanikanth , maa aavida peru Lakshmi. Maa Aavida roju mee vantalani choosi ikkada chesi pedutundi. chaalaa baaga vuntunnayi. mee vantala salahalaki dhanyavadhamulu. But I am more impressed with your attitude and the respect to our culture. My best regards to you and your family ! I am very happy to find your website and it inspired me to cook more dishes and create interest in me for cooking, I live overseas so immediately after marriage I came with my husband and I never got to learn in mothers place more about kitchen knowledge, so I was lost regarding cooking tips, your website is of great help and I am very thankfull to you, I feel like home as Im from south india too, I love the way you make the recipie in a simpler way and very affordable way, Im proud of you that you have become a useful citizen and a helping hand to many indians who stays outside india, I am a great admirer because of your simplicity in ur personality after I read your profile.Keep It up...Thank you very much,Ashwini. I got recently married and presently in germany. But I dont know how to cook. Just now, I have gone through ur website. Even though I know the procedure, I dont know the quantity of salt to add in recipe. Always, it is going high and my husband is suffering a lot.I tasted but cant judge amount of salt.Is there any exact measurement of salt for quantity of food? Please help me..
My wife is a regular visitor of your website and your videos on youtube. I too like your narration and beautiful pronunciation. I thought you live abroad like many others who post recipes on youtube. I learnt today that you live in AP. I saw you articles today and found very useful and interesting particularly Bhiksham dehi. My wife and I are wondering whats your profession. Thanks for the recipes and articles. gayathri garu dry fruites burfi lo Gundh [edible gum] compulsary na? nenu gundh skip chesi chesanu taste chala chala bagundhi kani adi methaga, sticky ga vachindhi :'( yendhuku ala? adhi miru chupinchinatlu kasta hard ga vachinte i feel happy kani sticky ga vachindi. mi abhimani Lavanyadible gum] compulsary na? gayatri garu, really this site is superb, excellent,very usefull for to prepar different recipes. badam kulfi looking so tasty and i cant wait to taste it.so i m gonna prepare and taste it now. We purchased a Koryo OTG recently. The information manual has nothing about the way it should be used. Please guide me on the modes that have to be set for Baking, toasting and grilling. We have no clarity on the symbols on the OTG for various modes. Thankyou in advance. I'm Lalita mee recipies are very nice and videos are in telugu so happy to listen.can you please tell navaratri naivedyam daily according to goddness avatharam and her naivedyam. actually today onwards navaratri started for balatripura sundari devi what naivedyam i have to offer.I hope meru sarega cheppagalaru ani. Namaskaram Gayatri Garu! We Tamil Brahmins don't use so much onion in sambar let alone big one's. We use shallots. Also you use a lot of oil. I love Telugu Brahmin cooking and your recipes sound and look good. I made this sambar but it turned out to be too sweet, looks like I have to use less jaggery. How much coriander powder do I use in lieu of seeds? Great recipe! Dhanyavadulu! In this recipe, edible gum is used to give binding. Without it also Dry fruit burfi can be prepared whose taste wouldn't be much different. Only texture differs a bit. Namasthe Gayathri garu.I love your recipes...meeru chesi chupinchina sambar amogham...nenu try chesanu chala baga vachindi...meeru icche tips chala baguntayi...Thank you so much andi.. Very , helpful and realiastic site . reciepies are excellent. thanQ so much Gayatri garu. I have requested you to give me a recipe for Ring parota..Could you please post that recipe for me...Actually i will share all my trials with my mom and she asked me to get the ring parota recipe from you..Please do the needful. Maaku ravva dosa ante chala ishtam. Nenu eppudu vesina adi penaniki antukupothundi..anni atlu mukkalu mukkalu ayipothunnayi..nonstick pan vadithe aa pindi anthe jaripoye side ki vellipothundicenter lo undatmledu. ravva dosa baaga ravalante elanti penam vadali konchem cheppandi..
mee choopinche,cheppe vidhaanam chaalaa baaguntundi.swatchhamaina telugu lo vintoo vunte entho aanandanga vuntundi.meeku maa intilli paadi tharapuna dhanyavaadaalu. dayachesi senagapappu tho poornam boorelu yelaa cheyyaalo choopinchandi.eppudu chesinaa ,paina thopu cheedesthu vuntundi.samaadhaanam isthaarani aasisthunnaanu. naa peru kooda gayatri sastry (singapore) svasthalam-machilipatnam-krishna district. chala usefull information icharu baby food gurinchi.thank u soooooooooo much. me web site chala bagundi..memmu singapore lo untamuu..me receipes,me videos chala adbutham..
maku me receipes cala useful avutunai...thank u so much..
Gayatri gari... pina ichina post nadhe.. I love recipes that teach me about cooking in general, and not just about the recipe in question. Thanks and congratulations. Great website. This vantalu site actually helps men more than women. I just tried moist bendakaya koora and it came out well. by the way you call ladies finger as okra (known here in US). Great work! Thanks for your feedback on aloo kaddu torkari. As regards ring parotha, I think you are referring to Lachha Paratha. I too am interested in learning it. I think you have used iron pan in the first instance. Season it thoroughly before using it so that the rava dosa would leave the pan and comes out easily. Thanks for the feedback. I'm yet to perfect poornam boorelu. Just try to have a full meal with what you plan for the children. If you like it, they should also like it!!! keep on making new receipes. This is the first wist to your site..I thought you were staying in states and posting these all videos...but literally shocked after seeing your profile....Bread kuda intlo chesuko vachu ani eroje thelisindhi...the way you narrate is soooo good.. Your recipes are very easy and very taste for us. Thanks a lot. Gayathri garu, Ur recipes are wonderful. I have tried allam pachhadi and avakaya pickle.also dondakaya koora. Superb! My family loves it. I also read the weight reduction page. Very helpful.I'm 28, unmarried and weighing 87 kgs,Have Hypothyroid and asthma past 2 yrs.My family has a history of diabetes,hypertension and other diseases.None of the diets have worked for me.Maybe I reduce 5-6kgs and again back to normal.But after reading ur weightloss journey, I'm thinking of starting again and this time with more hopes and determination. Thank you. I Am Subramanyam and i am very fond of your recipes. I thank you very much for your contribution to all of us who learn from you through your website. I just wanted to ask you if you could get some help from ant techies and get any android app directly for you website so that we can watch it over smartphones? I am Happy that you too are from A.P. I am pursuing Ph.D in Electrical Engineering at IIT Delhi. I have a sentiment of having Ugadi Pachadi only then I like to eat any thing on the day of Ugadi. This time I have seen Ugadi Pachadi from your video and had a trial. It was a nice experience of making it with green chillies (We usually make it with red chilly powder). I distributed to all my friends in IIT, my supervisor too. I am basically from Musheerabad, Hyderabad-500020, AP. Thank you once again for your receipes madam. nenu anni vantulu chusi chestanu andi. I am Banu from Tamil nadu.I have a nutritional and recipe site.I am newbie.I want know how to Embed your logo and website into the video?Which camera You use for making videoes? And how to get traffic?please guide me. about raising a child,one of it is the food for infants/toodlers,its always a big challange to prepare and make my child to eat food,i did everything,diffirent varitious of food i prepared,try to feed wat we eat with less oil and spices,read the articals took elders advise,still am not happy,i read your artical in GAYATRI VANTILLU.BABY FOOD..Felt good reading it lil bit realif..but MaM if u could give u's receipes for toodlers it wud be more helpfull for new mothers like me.. I was looking for some recipe's randomly and found your blog in top search results. Honestly, I did not even go through a single recipe of yours before writing this post. Your response to "Why My Videos in Telugu?" made me write this post. Simply marvelous. One must respect ones mother tongue and use it comfortably on daily basis. I feel most comfortable to speak in my mother tongue and enjoy the most at it. Meeru adagachu enduku English lo theliyachesthunnanu ani? I want most people to understand my post, that's why i wrote in English. gayatri gaaru nenu mee web site regularga chustaanu. it is very nice. nenu mee bread recipe chussanu, try cheddamani vundi kaani konni doubtlu like naa daggara OTG vundi. andulo entha temperature lo, enta time pettaai?? and second one is meeru hand mixerlo kalapamani chepparu kaani manam chetto kuuda kalupukovachchu kada?? pls clear my doubts. Read your "Weight Reduction Tips" quoted in LifeStyle tab.. Awesome..
Oflate I realized that I am over weight.. and started to workout since about a week or so.. and lost about 2 inch which is good.. I am 35 years old.. and 118 kgs.. weight.. I am not sure.. if I lost any weight.. about 5 years ago.. I ws hardly about 70 kgs.. and before I could ever realize I gained as much as about 50 kgs.. I am surprised having learnt this..
Well.. my biggest challenge is Diet.. I checked alot of site.. they talk about diet and its importance.. but the challenge is that they only talk about protein.. and calories.. but none of them metnioned which vegetable has protein.. fiber.. and the amount of calories..
As on date.. I am planning to work on Calory deflit program.. taking less Calories.. and working more... and the same time.. I also intend to build my muscle.. I shall ever remain grateful to you if you can suggest few vegetables.. and fruits.. which indeed can help maintaining diet..
hi Gayathrigaru,ur recipies are very homely and easy to prepare.actually im an average cook.ur site is an inspiration to try cooking.i honestly thank u.i ll be a regular visitor to ur site madam.this is my first day to see u. good bye and all the good wishes to u.
I read ur weight loss program i have a doubt, how many tablets u have taken daily and is there any food restrictions like (no sugar and no milk products) while taking these medicine (phytolacca berry tablets). mee avakaya choosanandi,recipe chaala bhaga chepparu, naaku oka doubut kabuli chana vesaru kada avi pachhive vesara, inkoka doubt nalla senagalu use cheyyavaccha? maa ammamma nallavi vesevaru pacchivo mari roasted naaku theliyadu,chanagalu veyalani chaala rojula nundi korika vundedhi mee recipe choosaka chaala happy ga vundi,pls answer cheyyandi. Earlier people used to put dried "nalla senagalu" in Aavakaya. Nowadays "Kabuli senagalu" are a fancy for which they are put. You can put any of these ones but remember to put only the dried ones. Dried senagalu absorb the "Oota" along with salt and other flavors in avakaya to taste great. I shifted to USA recently ans I was really worried about what I would do about my food here. I never even made coffee before. And then somebody suggested your website. Within a month, I made so many varieties of food and almost everything turned out so well. Now, if somebody asks me, "can you cook", I can proudly say, "yes!! I cook really well", thanks to you. Sorry, forgot to type my name in the above comment. I am Ananya. Today I tried making chikki. It turned out fantastic. All my family members liked it a lot. Earlier I tried with Jaggery and it didn't turn out well. Adding that little sugar made the trick. Thanks for posting such a good chikki recipe. Pls post the recipe of Gummadikaya(ash gourd) Vadiyalu. Na peru niharika.I am very much inspried by you not only in cooking but also by your samskaram.Meeru narrate chesa vedanam chala bagundi. I am waiting for one traditional recipe.. buralu. నాకు చాలా బాగ నచాఇ మీ వొంటలు, చెప్పే విధానం, చాలా స్పస్తంగా వుంది, ఇంకా విన సొంపుగా వుంది. యెందరో రునబడి వున్నరు. దన్యవాదలు. na peru lalitha. mee vantalu chala baunnayi. konni try chesanu, chala baga vachayi. naku ARISELU ante chala ishtam. You are sarcastically calling SBI 'mighty' for not bowing down to you and your husband's job. However, here you are, the mighty Gayatri with your strict rules on how people should write on your little dictatorial website, what prefixes and suffixes to use or risk being ignored by the great Gayatri. Furthermore, loyal bank workers like my 50 year old mother are suffering due to limited staff and too much work. Here you are, working on cookery websites while your poor hard working colleagues have to do your share of the work. 'Fighting against discrimination' indeed, I feel sorry for Government banks who hire slackers like yourself who think they are some modern day renegades. Please resign so that the bank can hire some responsible ethical person who can be productive and contribute to our country's growth. My mother and other Indians have suffered enough due to self-righteous hypocrites like you. As a visitor to my Website & Blog (which is my e-residence) you enjoy the status of “Atidhi Devo Bhava”. Your blog dated 17 October 2011 laced with derogate phrases specially picked up for me and superlatives chosen for your "MOM" makes it an interesting reading to assess your personality. While blogging, you shouldn’t have had reservations in addressing me as “Mrs” or "Smt", because I’m 44 years (in the age bracket of your mother) and I have no fancy to hide behind the two letter “Ms” salutation, which keeps people guessing ones marital status. I’m really proud to flaunt my marital status and also the status of being a mother for my 22 year old son, who must be almost of your age. Your feeling proud and concerned for your mother is indeed great. The reasons for her working compulsions at an old age wouldn’t be questioned because they would be personal. However, it keeps me nagging as to why an educated and accomplished child, couldn’t impress upon her to hang her boots and lead a better quality of life instead of eking out a living in SBI (as painted by you). Your personality in deriding & belittling others, with an intention to paint your MOM bigger in comparison reveals an interesting character in you. Blurting out with words like” hypocrites” etc. towards strangers, so as to generate a hype to convey your feelings for your mom only to portray her BIG and TALLER, makes me ponder your real intentions and ground realities. Is it real love for MOM or for her MONEY? Your twinning patriotic concerns with the subject make it amusing too. Like a few of my other visitors, if you were serious about my SBI subject, you always had an option of writing to me at gayatri@gayatrivantillu.com to get more details. Instead you preferred to form an opinion with your limited intellectual acumen and made public your affected analytical abilities impaired with extreme love-hate syndrome. For your information my SBI case is pending before Jabalpur High Court and I don’t think you are more learned than the Jury. Every freedom is associated with a responsibility. It reminds me of a story from my school text book which says that while on a walk one has freedom to swing his walking stick, but this freedom to swing stick stops where the other man’s nose begins. The moral of this story was to convey that we should recognize other person’s freedom too. Freedom of expression is often associated with niceties also. Illustratively, if we feel a person is ugly we keep it to ourselves. Just because we have freedom of expression we do not walk to that person and yell at him that he/she is ugly. It is bad manners, which you must have been taught as a child. You could have surely conveyed your opinion on this blog subtly with moderation; instead you misused “Atidhi Devo Bhava” status at my e-residence and demonstrated your rusticity in exercising your right to expression with scant respect to the responsibilities and niceties associated with this freedom. Abhirami Muthu Garu, you need to grow-up!! We are in US and dying to get Chintakaya tokku so we can enjoy eating it year long. Do you know any good supplier who can supply the Tokku. My relatives are coming from Hyderabad on December and would like to get it through them. Your way of explaining each recipe is really great and much appreciated. Thank you. Madam garu how are you ? you did not answered my question about masala vada (all mixed pappus and onion) till now pls tell me the recipe. I think if you raise any question.you did not get any reply from then. I don't know any suppliers of Chintakaya tokku. I love ur recipes....i tried Peas pulao today..i found that u missed spice levels i mean chilli.. I like all your recipes and easy demonstration technique.One request - can you please organise a Recipe index so that searching will be more easy. Your blog is very nice.Thanks for the blog.Can u please give the recipe for preparing idlis with uppudu biyyam? Hi Gayatrigaru,iam anuradha from london,i tried ur receipe PALAKOVA,which came out very well,exactly shown by you in the video.All your videos are very good and inspiring to cook andhra food.Thank you. Please add me on Facebook rk.spadma@gmail.com. Naaku Beerakaya tokku pachadi ela chestaro cheptara? It would be great if you could tell me some milk shake varieties like, Badam milk shake etc. which will be useful for kids and which can be prepared at with the things available @ home. Hi gayathri garu, i want to prepare a simple cake can you please mail me the recipe and mine is an pressure cooker , so can you tell me how can i prepare. I have tried Cauliflower,aloo,tomato curry. Taste came out very well with roti. You have given very exact measurements for 2 servings. A very good recipe without using onion and garlic. Easy and handy recipe. I am pursuing graduation in non-andhra states of India. At the very first glance of the website I am unsure to try them out. But by seeing the appreciation, I thought to give it a try. It wud be helpful, if u mention a list of some of easy recipes like pulihora (which came well) which are easy. Last but not the least ...!!! First of all I would like to say thanks for the website, blog, google+ account etc.. which I had checked till now. Today is the first day that I came across your account in google plus. I have checked some of the recipes. and all of the images. They are very good. Will try them some time. And after reading all the comments and appreciations, the first thing that came to my mind was of ammamma.com, its a serial in MAA TV long before and she used to maintain a website to clarify all the doubts of the needy with the medicines mostly available in the kitchen and etc. Hope your website also will grow to that extent and serve as many as possible. And it would be very easy if we have a categorical arrangement for the recipes. మీ వంటలు చాలా బవున్నాయి. ఆలాగే కంది పచ్చడి, పెసర పచ్చడి కూడా ఎలా చెయ్యాలో రాయండి. You can subscribe to me on facebook by clicking add friend. It would take some time before I can host beerakay tokku pachadi. Try out bachelors recipes. They are likely to be easy!!! Greetings. Thanks for the wonderful recipes. We tried making pani puris today. We strictly followed your suggestions in preparing the puris. Every thing was fine except that the puris were not crispy. Any idea what could have went wrong. hai gayathri garu,mee site chala bagundi. i like it very much.but most of ur recipes are using microwave oven,but many people may not have that,so i reqest u to show with out using it most of the times. gayathri garu, mee vantillunu veelu unnapudu chustuu untanu. try chestanu. charu chesanu. superb. maa familylo mukyanga maa abbayee 3yrs chala nachindi. thank u very much. inka enno nerchukovalanukuntunnanu. The puris need to be fried a bit longer after they have puffed up. They need to get that golden brown color. If need be reduce the flame to medium while browning them. If the water content in the dough is even slightly more, the puris become soft. I have used raw papaya which would be white in colour. Your recipies are wonderful. I got the links from youtube and really liked your narration. (I lthough I am not an andraite, I could understand you fairly well! and I like the way you look at your roots! Proud to know of such a person like you! Keep fighting! there are a lot many people like us who will surely pray for your success! velluli karam yela thayaru cheyalo koncham cheptara. Thanks Gayathri garu for all what I found at your site. I visited your site more times than I visited our kitchen, thanks to my wife. Your way of presentation with all relevant detail is what makes me visit gayathrivantillu again & again for any new additions. I suggested your web site to both of my daughters-in-love. Hope they will be making good use of it. Thanks once again! nenu oka 4months nunche cooking lo varied recipes gurinchi chustunnaanuu. ala start chesi nappati nundi mede yekkuvagaa chustunnaa half ki paiga me recipes try chesaa.anni varieties vallakii food gurinchii chepptunaruu mari pregnent valluu yemi tinte manchidoo cheppatam ledu meru. ela yenduku annanu antee nenu pregnent ni.aa time yela tintee notiki ruchigaa untundoo chepthe meruu nalanti vallakii manchidemo ani na abhi prayam.nenu chinnapati nunchii vantaluu chese danini putintloo. tappugaa anikokandi ma amma ni, adapillaki vantalluu ravalanii nakuu chinnapati nunchee nerputhuu vachindii ma ammaa. sare nenu chepina dani gurinchi alochinchandi.andariki annii padaka povachuu kani common ga yevoo untai gaa, kaneesam avi ayenaa cheppandi. tenakudanivi,tinagaligevii lantivi.me answer na id ki pampagalaraa? I din't have "morning sickness" during pregnancy for which I could eat what-ever I felt like. People who have this problem would be picky in eating during pregnancy. Your mother is the best person to suggest and help you in the matter. So many Thanks to you. Mi vantalu follow avutanu. prepare chestanu. anni meeru cheppinatle baga vasthai. Meeru cheppina fruit cake oven leka pothe yela cheyyali. Please reply that i can prepare. hi gayatrigaru, morning breakfast pori chesanu,chala baga vachaye.miru cheppinattu ma pongi vachaye.thanku very much. hi gayatrigaru,mee vantalu follow avutunnanu.meeru cheppe padhati naaku baaga nachindi.mi site follow avutunnappati nunchi,naaku cooking ante interest perigindi....thanks a lot. fruit cake mouth watering! great!! Wish u all happy christmas and new year. Thank you very much for all your fantastic and healthy recipes. I have a question regarding the creams. Where can we get sweetened condensed milk, Amul low fat cream or heavy whipping cream in India. I would be appreciate your help. I watched your banana cake preparation. shall we use steel utensils in Micro oven? I try your simple recipies i.e., rasam, dal, etc. it's very easy to prepare and tasty also. I'm trying @ home on sunday's, im 27 now, till date i never went inside the kitchen, but after visiting ur website. Im spending sunday completely to make some new, and serving to my family. They all are really shocked by my recipes. All this credit goes to you. keep it up. can u pls post capsicum masala rice? Hi Gayatri I love your recipies well explained .my request is to show how to make a traditional masala vadai (paruppu vadai) Thanks. namaste gayatri ji i m a big fan of ur recipes. Even they are in telugu it is easy to understand . I have a query regarding the bread recipe. I don't like using yeast in my dishes so i cannot make breads at home as i don't know the substitute for it . I Did searched for it on the web but i was not satisfied . plzzzzz help me . I tried your Stuffed Capsicum for New Year's brunch. I usually find potato stuffing to be very bland. Your stuffing is absolutely flavorful, with a thin layer of mashed potato and crispy breadcrumbs. I have watched many your presentations on youtube, but this is the first recipe I've actually tried. I love this recipe and will be making it for my friends soon. Egg less orange cake chaala baaga vachindi. Thanks for the recipe. New year wishes to you. Could you please post masala pakodi recipe. Thanks for your feedback. I prepared at home candied peels and candied fruits. In the process I got candied syrup. I have already hosted a video on this process. For those who want to get the ready made ones can look for these items in the bakery stores etc where they sell candied peels and jam may be replaced for candied syrup. Sweetened condensed milk and creams etc are generally available in almost all provision stores in India. Thanks for your feedback. In fact you have put in place the motto of my site "Cooking Simplified is Fun"!!!! Thanks for your feedback. I would definitely add Capsicum rice to my list of "to do"
Thanks for your feedback about my site. Thanks for your feedback. Its strange that your recipe turned out bitter. I think you need to fry the curry for some more time after adding the ullikaram paste till the rawness of the onions goes away. I Wish you a Happy New Year and Happy Sankranti. Meeru perugu gattiga and pulupu rakunda undalate emi cheyalo cheppandi. Try to put just optimum buttermilk instead of curd to set milk fast. As soon as the curd sets, put it in fridge overnight before using it - for having thick curd. Try to use the curd once brought out from the fridge without putting it back after use. In other words try to store in small containers which would be consumed immediately once out of fridge. Partly used Curd sours fast when re-stored. I saw your website a few days back and I immediately added it to my favorite sites and keep trying your wonderful recipes. I like your recipes because there are many traditional Andhra dishes which I heard of but did not know how to make. I need some information on Convection cooking. I have a Samsung Convection microwave oven. I saw your cakes recipe using convection microwave. My query is, what all types of cooking ware/tins can be used to bake in Convection mode. Sankranti Subhaakaankshalu. Thanks for the feedback. Steel, aluminum, oven proof glass ware can be used in convection mode.Remember to see that the microwave is not used while baking in metallic containers in convection mode. You are simply superb, Awesome. I started cooking with your website :). I will try pongali in few hours.. Happy Pongal to you and your family. Sankranti Subhaakaankshalu. Thanks for the feedback. I haven't yet tried badusha sweet. This is Swati. I have recently visited your website. Its very good. I like all your recipes. your recipes always remembers me my mother food . Nice to meet you. Nenu chegodilu try chesanu. endoko deep fry chesinapudu konni pagili oil anta chindinadi. Nenu 1 glass water boil chesi 1 glass rice flour kalipanu.My family likes this snack.what i did wrong? can you pls write tips to make them. I used to have this problem until I learned this trick for making yogurt from a friend in Chicago. I mix 700ml of low fat milk (here it is called 1.5% fat) and 300ml full fat milk (3.5%). I heat the milk in a heavy bottom vessel on a slow flame for 25 - 30 min, stirring frequently. Then I raise the heat but carefully. Now let the milk boil but keep stirring from the bottom of the vessel so that the fat does not stick to the bottom the vessel. Keep stirring from 10 - 30min. Then set it aside to cool. When it is luke warm, add Bulgarian yogurt in small portions, may be 1/4th tea spoon at a time, 4 or 5 times. Mix thoroughly with a big spoon for 2 minutes, then churn it thoroughly with a churner. Some people use a mixer / blender. Set it aside in a warm dark corner. I put it in the oven, but do not turn the oven on. Yogurt shd be ready within 24 hrs. motichoor ladoo and bundi ladoo videos pettandi. Gayatri garu, motichoor ladoo and bundi ladoo recipes videos pettandi. First of all.....thank u so much for coming up with such a nice website.... I simply love it...!!! Ever since then I have been a regular visitor of your site to learn more and more. Being a working woman, managing kitchen and work becomes difficult for me. Can you suggest a good food processor which can cut, slice, and knead dough especially. I would be very grateful to you, if you can let me know one. I have searched and Googled all the sites to zero on to the best one...but unable to. Thanks for your feedback. With any brand food processor, kneading dough and slicing vegetables becomes easy. I believe no processor can cut vegetables as we do with knife in our hand. Chegonilu, inka variety podulu like, peanut power, putnala powder, charu podi , kakarakaya karam lantivi post cheyandi. hai gayatri garu.nenu vasantha ni. i am eagerly waiting for ur upcoming recipes.... bagara baigan looks yummy.... pls post mouth watering bagara baigan recipe as early as possible.... i love red chilli pickle.... thanks for ur recipe... i use to decide my daily menu by seeing ur website.... u r doing a great job.... ur kitchen is looking very clean and neat... if possible pls post video with house cleaning tips... it will be helpful for newly married couple like me....thank u.. Always i like to use home made paneer in my curries. But my problem is my home made paneer is melting or sometimes crumbling even i use at the final stage of my curry. Please help me with some tips. If you adopt traditional method of straining Chenna in a cloth, squeezing it, tying it tightly and pressing it under a heavy grinding stone, you would get tight Paneer which would not crumble when added to gravy dishes. Two minutes of microwaving of paneer pieces before adding to the gravy also keeps paneer firm in the dish. meeru lemon pickle ki help cheyandi. maa lemons nearly mosambi(battayi) size ga vunnavi.not limes.these are biglemons only. some times pickle bagane kudirindi but some times came in fungus.pls help me. 10 big lemons ki how much salt& chilli powder kalapali? 10 lemons ki enni kayalu juice kalapali?nenu always without oil pickle chestanu.1or2 spoons menthi pindi mix chesanu. i love ur recepies..u explain them in very simple way..it is very easy to learn for beginners like me. i m searching for sakinalu receipe but i m not getting it anywhere.can u please share dis receipe?? I am Bhavani Prasad from Hyderabad. We too joined your fan club. When my wife is struggling how to prepare tomatoe pickle, I have showed your video. How nice it is, so clearly expained. We could prepare our pickle successfuly. With that confidence she went ahead and prepared the Osiriavakya. That also was very tasty. We are very thankful to your website. Again Hats off to you! Hope you are referring to the Pandumirapakayala Karam recipe. We remove the seeds and fibers before grinding. You can as well add the paste to the recipe without straining / filter. However if you desire you may filter it. మీరు చెప్పినట్టు పాల కోవా చేశాను. నోట్లో కరిగిపోయిందండి. దయచేసి అరిసెలు, సున్నుండలు, దప్పళం ఎలా చెయ్యాలో చెప్పగలరు. I really thank you for developing such wonderful website and it is really great. This is being used by hundreds of people and is very descriptive and obviously the food is tasty. i m kiruthika .I have seen and tried some of ur recipe...one among is peserattu.It cam out yummy.Thanks.One small request,i love tomato dosa,i tried to search for video recipe of tomato dosa,but i couldnt find it.can u plz upload it. Your youtube videos are just perfect the way they are. Wonderful job! I was searching for a cake recipe this sunday and I came across your site. I just loved the way you have presented the recipes and explained them. More than that I loved the tips, weight loss guidance and the kitchen aids section and found them really helpful. I have decided to try out all your recipes one by one. So on 13-Feb I made pav bhaji. I made the bhaji and bought the pav because i did not have yeast & the weighing scale (I plan to buy these.. I have already purchased a thermometer). It turned really well and my husband loved it. The next day I made Alu Ki Tehri. I loved the simplicity of the recipe and turned out really well. Today I plan to make Gutti Vankaya Koora. I will post the results shortly. Thank you for all the efforts that you have put into this website. I followed some your recipes and they came out well. Thanks for uploading these recipes. Can u pls upload cabbage pickle recipe???? ?I have been trying for this recipe but i'm not finding it anywhere. It would be nice if your name would have been left so that I could have addressed you directly. Today I made aloo paratha for the first time. I have never eaten this myself so I don't know what it's supposed to be like but I have made chapati and puri though lately my puri seem too hard and not soft. It tends to break instead of being able to roll it up. I used same dough for paratha as for chapati. I did let dough rest. I did not use your tip about letting the stuffed paratha rest before rolling so it wouldn't tear (mine tore and had air bubbles though I tried to make sure they were pressed out before sealing). I have tried rolling two paratha and putting filling on one then putting other on top then rolling, they do not seal well. Filling one partly rolled out paratha was breaking. I think my dough was little dry. Can you tell me how to tell when dough has enough water? I think this may be the problem with puri as well. Next time I will also be sure to let filled paratha rest before trying to roll. I took a long break from cooking due to carrying for my elderly father til he died, he does not eat Indian foods so cooking for him required different style of cooking and I have lost the touch for many things, trying to get it back. Thank you for your help. Zen. Oh, sorry, dough recipe I used was 2.25c chapati flour 1 c water 1/2 tsp salt. This is slightly different than chapati, more flour by 1/4 c, no oil, but almost same as puri (only .25 c more chapati flour, but also .25 c more water). I kneaded in my bread machine as my hands and arms are too weak to knead by hand. I let it rest for about 20 to 30 mins before trying to use. In future I will measure flour by weight instead of cup measure because all my bread recipes that I have switched to weight measure have been much more reliable. But this is same recipe for 30 years, which in the past was fine, also same flour for past 30 years, Golden Temple durum atta . So whatever is wrong is with me. Thank you again, Zen. As a thumb rule put half a cup of water for one cup of wheat flour and allow it to rest for 15 to 20 minutes before rolling. Nenu ma varu me vantalu baga istapadathamu, iddaramu regularga chala vantalu me GAYATRI VANTILLU lo chustam.Recent ga me recipe PAV-BHAJI chesanu intlo andariki baga nachhindi.New recipe emi chesina ma intlo andaru Gyatri vantillu lo choosava ani adugutaru. Nenu ee roju choosina SWEET SOUR CHUTNEY lo meeru oven lo petti microwave cheyyadam choopincharu, stove meeda kooda petti cheyyavachha? meeru anni vantalalo oven ekkuvaga enduku vadataru? oven ki alternative kooda cheppandi. Thanks for the feedaback. For sweet sour chutney, you can cook the tamarind on stove top too, till the tamarind becomes soft. Today I saw Potato and Mint curry recipe, its was very good... you mentioned in the recipe that we can use fresh mint leaves as well. If we want to use fresh mint leaves at what point of time we should put those leaves? Do we need to cook them before ?? any preparation is required if at all we want to use fresh leaves instead of dry leaves. I am from Indian origin (born in telugu brahmin family). I moved to US, 10 years ago when I was 17 old guy. I really want to say there's something in your voice and your telugu accent which bring tears to my eyes. I literally learned many Andhra receipts through your videos. I've been a regular visitor since past 6 months. I check atleast twice a week. I really want to thank you deeply for your efforts. I can can't explain to you what it means to taste our food at home to someone like me who lives half away across the world from India. Thanks again and my best wishes to you and your family. Your feedback gives me the pleasure of achieving the objective for which I have started my website. Ur recipes are wonderful.I have tried allam pachhadi,avakaya pickle and dondakaya koora. Superb ! My family loves it, Also read the weight-loss page. Great! I'm 28 ,unmarried and weighing 87kgs right now,I tried many diets and exercises many many times in my life. I could see results of only 5-6 kgs reduction and once i stop checking my diet and exercise.i am back to the same state.I'm having hypothyroid and asthma past 2 yrs and my family has history of diabetes and other diseases.Thanks to your article and sharing ur personal struggle to lose weight. I am motivated enough to continue my weight loss journey this year with more hopes and determination. But, as you suggested, i will consult a dietician to help me out.Thank you ! Thanks for the feedback. Wish you good luck. మాకు పెళ్లై నాలుగు నెలలు ఐయంది. నా వైఫ్ లత ఇప్పుడిప్పుడే వంటలు నేర్చుకుంటుంది. మీరు చెప్పినట్లు గారెలు ట్రై చేసాము. చాలా బాగా వచై. meru maku enno manchi vantakalu cheptunaru, nerpistunaru. maku chala happyga undi.memu enno nerchukuntunam. chala thanks madam.. I would like to know where do we get Mamidi Tandra in bulk in 50 gms pack. i want to know in which area it is manufacruring. i liked u r blog and recipes.they are too good.but searching a recipe is too hard ,can u make it more user friendly.and pls can u post recipe on white pumpkin halwa which is my favourite but i havent got a good recipe to do.and expecting u to update the upcoming recipes soon, waiting for to try the curry leaves recipe. i visited u r blog .they are too good.i have bookmarked them .can u make u r recipe index more user friendly, it is very difficult to search for a recipe.i am eagerly waiting for u r upcoming recipes to be posted. i loved ur recipes.i have tried out some of them and it turned out so good this credit goes to you alone.thanku so much. mam can u tell how to make ULAVA CHARU. Priya here. I always try your recipes,its really interesting and simple to make. I have one doubt. Recently, i watched your video for preparing Rasamalai, which i am fond of. You mentioned to prepare paneer first, then Rasagullas. My doubt is can i use the Paneer which is available readymade in the market? Great work. Your website really helps us to try Andhra foods at home. Could you pls tell me the recipe for nuvvulu vadiyalu. Thanks for the feedback. Nuvvulu Vadiyalu is placed in the "Wish List"
Mee vantalu chala bagunnayii..Mukhyamga meeru cheppe vidhanam chala spastam ga chakka ga ardham ayye vidham ga undi..Nenu mee tomato pachadi try chesanu chala bagaa kudirindi.Thank u so much andi. Its a big challenge which you are facing and am confident that you would overcome it through trying various permutations and combinations. Till now I continue to grapple with my husbands diabetes!!! In your case you need to handle your husband's and child's needs too. Keep trying to suit their needs and tastes. First of all, I want to thank you for sharing your cooking experience with us. I am a Bengali homemaker, my name is Shyamali Sinha. Very recently I have started a you tube cooking show, which is focusing on Bengali cuisine & at the same time Indian cuisine. For my work I read different kind of Blogs & I found your website. It is really inspiring. When I was reading your “English shock” article, I could not control myself to write to you. You are voice of like many of us. I love your article. I do believe that English is a global language, for that we need to learn it, but now a day, for few people knowing this language is equivalent to Educated. If you don’t speak in English you are not much educated. Though, for some reason I am conducting my show in English, but I have huge respect for my own language & culture. I love the way you write. Wish you all the Best. u r receipes are good,i tried u r sesame podi it was instant hit , in my house ,everbody likes it.can u upload the curry leaves chutney i am eagerly waiting.one more request i like the white pumpkin halwa , can u inclde that also in u r list.i like u r videos , they are very good. Thanks for your feedback. Curry leaves Chutney is in the final stages of production. White Pumpkin is included in the "Wish List"
Namasthe Gayathri garu..first of all..i would like to thank u very much..mi website lo chusi nenu vantalu nerchukuntunanu..naku ippudu vanta midha chala asakthi perigindhi..naku baga compliments vasthunnay..e compliments anni mike chendhali..nalage chala mandhiki miru inspiration ni isthunnaru..thank u soo much..i love u so much..
me recipes nenu eppati varaku 80% try chesanu.anni baga vachai. meru vantalaku icchina tips chala bagunnayi. memu meeru cheppina pindi rava vadiyalu cheyalanukuntunnamu kani meru water content kasta clear ga chepthe bagundei maaku 300ml ela theesukovalo theliyatam ledu kabatti meru cups chopppuna chepthe kasta maaku suluvuga undedi. Checked out the bel juice video ...amazing . you are recipes are too good.recently i have seen u r website and started loving it.i tried red chilli chutney,gongura,and almost all powders. all are success.so keep up loading videos. hi mam dis is waseem. i am learning a lot of curries n different items from ur web site........Thank you mam....thanks a lot. bread pizza cheyadaniki miru oven grilling pan vadaru kani nenu kona oven ki aa grilling pan ivaledhu. ela? seperate ga grilling pan ekada dhorukuthundhi banglore lo? When you are using grill mode, Invert a sufficiently high vessel and use it as a grill stand. ante steel dish use cheyacha mam? gayatri garu oats tho recipe's cheppandi please i want to learn them.and very greatful for your website. i like it really thanku so much for this site. i am a student and i am very much interested in cooking thank u so much. Thanks for providing all the recipes. I made avakai using the measurements in your recipe which turned out fannnntaaassstic and this time would like to try the lemon pickle. I live outside India and the lemons that we get here are quite big compared to the lemons we get in India. I would be really obliged if you could please let me know the measurements of the lemons that you used in grams or Kgs. How many kgs should I use to cut and how many kgs should I use for juicing. I know many people must have asked you this but I could not find any reply to the same. I would be really really really thankful to you if you do so. Many have been asking it. Next time when I prepare this pickle at home I would measure them in grams and include it in my recipe text. high vessel ante steel dishes ante manam tinadaniki use chesetivi use cheyacha? I have been blogging to clear the doubts of my viewers who visit www.gayatrivantillu.com They are natural visitors and not my relatives. Naa peru NeelaSundari. Mee website vantillalu chala bagundi.Thanks a lot for helping us in kitchen through this web site. Naaku DAHI VADA ela chestharo cheppandi please. Chitachiguru pappu recipe is good!Please reduce the background music a little so we can listen to yr audio properly! My name is Shri, from singapore. I like ur recipes, and I try some recipes. Thank u very much aunty. I like Mawa recipes. Can u plz give a, how to prepare Mawa ? u r recipes are always inspiring,makes us feel complex cooking simple,complex ingredient easy to make.can u pls make the receipe in order of date as it will be more useful , as i browse for u r recent receipes. Nenu mee website ni last one year gaa choosthunnanu. Every week chala saarlu choosthu vuntaanu. Mee website lo pettina anni vantalatho paatu, meeru pettina "poola chendu kattadam yela" anedhi chala ideal gaa, mana mundhu generations ki use ayyela chaala baavundhi. Atleast next generations kattakapoyinaa aa poola chendu gurinchi oka idea anna vuntundhi. Ilantivi inka yemanna pedthe baavuntundhi ani meeku anpinchinavi pettandi. Adhi thappakunda mee website ki oka special gaa vuntundhi. Up coming recipes ani chala yekkuva rojulanundi choosthunnanu, avi kooda up load chesthaarani aasisthaanu. could you please provide a recipe on drumsticks and chinese veg fried rice. borosil glass ware convection mode lo peti bake cheyocha cakes ni? thanks for reply. nenu e madhyane oven konanu, mi recipies koni try chesanu chala baga vachayi. oven lo cheskune koni vantalu evana variety vi petandi pls.. Thank you so much for this website. THat is useful for me. I am Turkish lady and living in Turkey. My husband is from Krishna District and he wants to eat his traditional meals generally. I am learning from web-surfing but generally these are Telugu language and I cannot understand and my husband has not patience to translate to me. So I found your website English version and cooking in my home. My husband is non-vegeterian so I ll be happy, if you ll publish more non-vegeterian foods from Andhra Region. Thank you so much. Stumbled across your site when surfing for Mango jelly recipes. Me & my wife also surfed many other recipes on your site, love the ease of making and demo videos. c) The Addition of SALT>> In your video/script you always say ""add salt to taste/ saripadinantha UPPU vesukondi"". To a veteran, this comment is fine , but to a novice/first time cook it serves little. I understand people might prefer salt due to their upbringing or medical condition, but it is more applicable in health foods segment. seeing the videos it is not clear if you are additing teaspoon/tablespoon salt. I am very sure you understand what would happen to a curry if I add 01 TABLEspoon salt in place of 01 TEAspoon. Hope to see this comment in your existing and upcoming videos. Thanks for feedback and valuable suggestions. Hi Gayatri, I accidentally bumped into one of your videos on you tube....and then checked your website. amazing stuff! simple yet interesting yet intricate recipes.. i was looking for such kind of cooking blog for a long long time...... i tries two of your recipes - melon share & hyderabadi baigan...... great! me recipes chala chesanu..manchi comments vachayi from my family members.. keep going ...malanti vallaki manchi margadashi me site!!!! Thanks Gayatri garu for the roasted peanut recipe. I love the street side roasted peanuts but always hesitate to eat it due to hygene concerns. Btw, I asked a peanut vendor from where he gets the sand to roast the peanuts and he said that it is not sand but just kosher salt which turns to sand color after prolonged usage. True, even I was told the same by one vendor, while others maintained that it is sand. They didn't want to reveal!!! 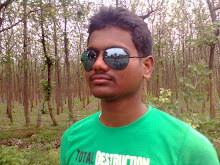 ur vntillu blog very nice. monthly twice.pls give me healthy & lowfat recipes. I am Sangeetha from Chennai. I tried your eggless orange cake in microwave. This is my second cake. I baked a vanilla cake (from some other recipe site), but it did not come out well. I still cant believe myself that I baked a wonderful orange cake. Thankyou so much. Appreciate the way video was taken with subtitles appropriately. madam its mouth watering watching your video of preparing stuffed capsicum program. i keep watching u r space for new uploads.i am very much impressed with all the tips , u r website is awesome.will make u samosa this week as it is very easy for the begineer too. it is a request keep posting all u r receipes ,its helpful for many of us . no words to thank u r blog and work. gayatri garu ! :-) ...your website, videos, narration, ur voice, simply super !! right now onwards i am big fan for ur website !! :-) !! I have been using your website for the last four months and have been preparing variety of delicacies hearing your video.Thank you and gayathrivantillu is the kitchen guru for me. Naa Peru NeelaSundari. Nenu mee site lo ni konni vantalu try chesanu. Avi chala baga kudirayi. Thanks for Gayatri Vantillu. Naaku Fried Rice elo cheyalo cheppandi please. hi, i'm born and brought up in ny and never really learned how to cook. my parents are telugu and i love telugu food and want to give my daughter the same experience. can you tell me the basic spices or ingredients i should have in my kitchen to start making some of your recipes? i'm going to start with the bachelor recipes first. I tried your eggless orange cake recipe and it came out so well. I am receiving a lot of get together invites from my friends just because I would bring orange cake. I tried 5 times now and it always came out well. I want to learn to make icing. Yesterday I tried Paneer Makhanwala, and it came well too. Please post more of eggless desserts.